Multiple Chemical Sensitivity Syndrome is a condition that is caused by exposure to toxins. The body develops a sensitivity to any type of synthetic products causing a person to react in serious ways when exposed. We have seen cases where the sensitivity to different substances continues to become more and more pronounced over time. We have seen veterans who have virtually had to sleep on steel-spring bed frames without mattresses as a result of the sensitivity they experience to chemicals. We have also seen people suffer from organic brain diseases and psychotic delusional disorders as a result of toxic exposure. These can be very serious medical conditions that can drastically alter the way you live your life. 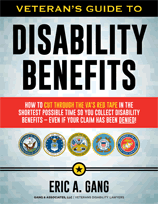 Many veterans with severe cases of multiple chemical sensitivity syndrome have to live in a proverbial bubble in order to avoid being affected by the synthetic substances that are all around our environment. Winning a case like this requires aggressive representation and very careful selection of well-qualified medical and scientific experts. To win a difficult case involving multiple chemical sensitivity syndrome requires a very devoted and coordinated legal team. In many of these cases the effects of these chemicals can be delayed and there can be a hiatus between exposure in service and the onset of symptoms many years later. This hiatus in symptoms is used by the VA as a means to suggest that the condition was due to something that happened after service. A good understanding of the typical case involving multiple chemical sensitivity syndrome is important when developing a strategy in a case of this nature. 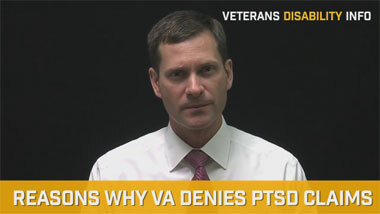 The VA typically does not understand these intricacies or they purposely ignore them by focusing on factors that they think are plausible to justify a denial. 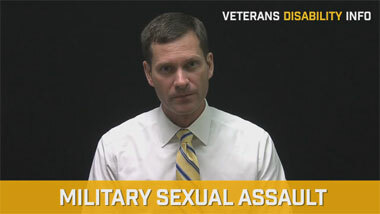 When evaluating these cases we typically look for telltale signs of the beginnings of a problem during active duty. Good medical and legal research is often need to prevail in these cases. We have been successful in many of these cases and if you have been denied for these types of conditions, please feel free to contact our office.